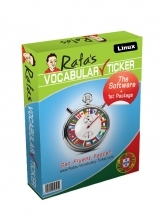 Here you can choose the Ticker that works with your computer Operating System (OS) and the language you want to learn. Before anything else, you need to download one Ticker and install it on your computer FIRST, then you can upload it with more packs. 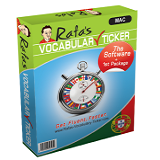 Once you have installed it on your computer, it will let you choose words and expressions you want to learn. The application comes with 1 package by default (000 - Survival Language) which are basic phrases you may use when you start communicating in Portuguese and a full pronunciation guide with examples. Listen to them, look at the spelling and repeat them aloud until you get them stick in your mind. This software will show you the words with their correspondent sounds (pronunciation) in such a way that it’s very convenient for you to use while you are working on something else at your computer. 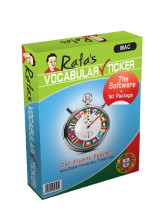 For instance, when the application is running on your computer screen, every time you click on top of a word, it will play the Portuguese sound of that particular word as many times as you want. Try it now and see how fun learning Portuguese is!